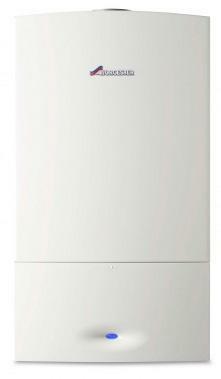 The Worcester Bosch Greenstar 40 CDi Classic is Worcester's top performing regular gas boiler. With an impressive 40.8 kW output it is an ideal choice for larger homes yet its compact size (76x44x36cm) means it can be fitted behind a standard sized kitchen cupboard although at 39.5kg it is rather weighty for its size. With a SEDBUK 2009 efficiency rating of 92% the Greenstar 40 CDi Classic is a very efficient boiler and can be used with a wide range of optional mechanical digital and wireless programmers. For maximum efficiency you'll need to fit optional external controls such as a room thermostat and thermostatic radiator valves (TVR's). The Greenstar 40 CDi is also compatible with LPG and some solar thermal systems. This boiler's high performance also makes it an Energy Saving Trust recommendation. As with other Greenstar boilers this has intelligent manual and digital controls and is also environmentally friendly, as we touched on earlier. Operation of these boilers is made easy thanks to a built-in fascia-mounted heating temperature control knob and a neon operational status indicator. This boiler also has the advantage of being compatible with Greenskies solar water heating system. Greenstar also offer a Regular boiler in a lower 30kW version called the Greenstar 30CDi which you may want to check out here.